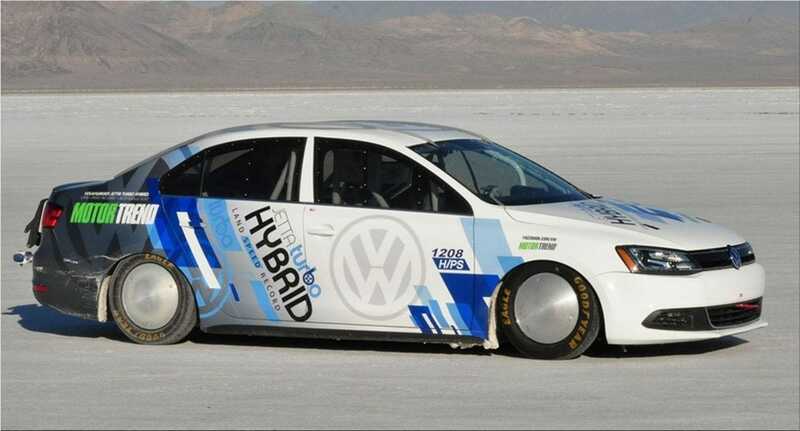 In august, Volkswagen Jetta Hybrid became the world's fastest hybrid car after Jetta managed to run on the Bonneville salt flats with 298,363 km/h (185.394 mph). 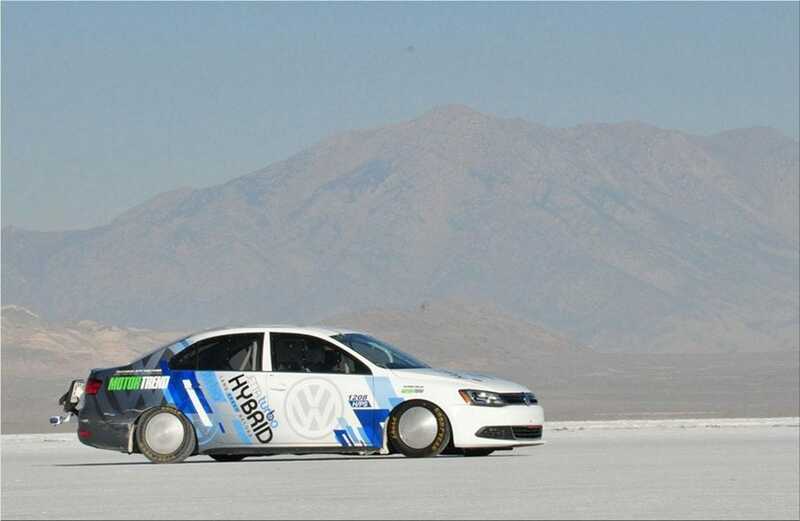 The Volkswagen Group of America did not give up and came back on the Bonneville salt flats in order to overcome the barrier of 300 km/h (186.411 mph ). 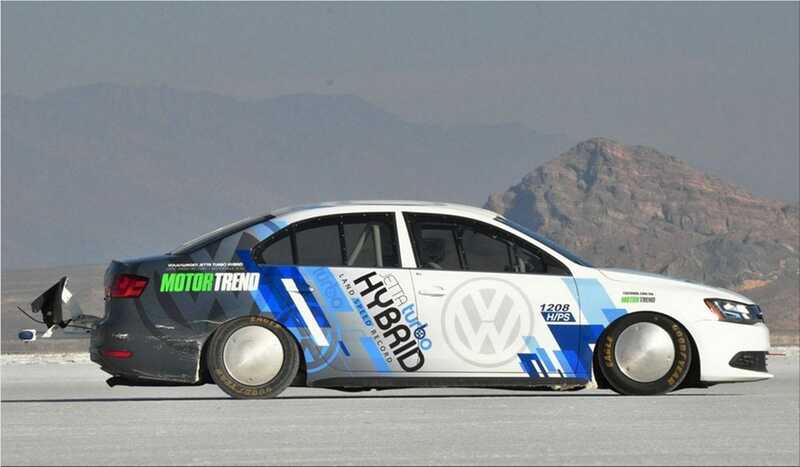 After a busy day, the Jetta Hybrid was able to run with a speed of 301,184 km/h (187.147 mph ). 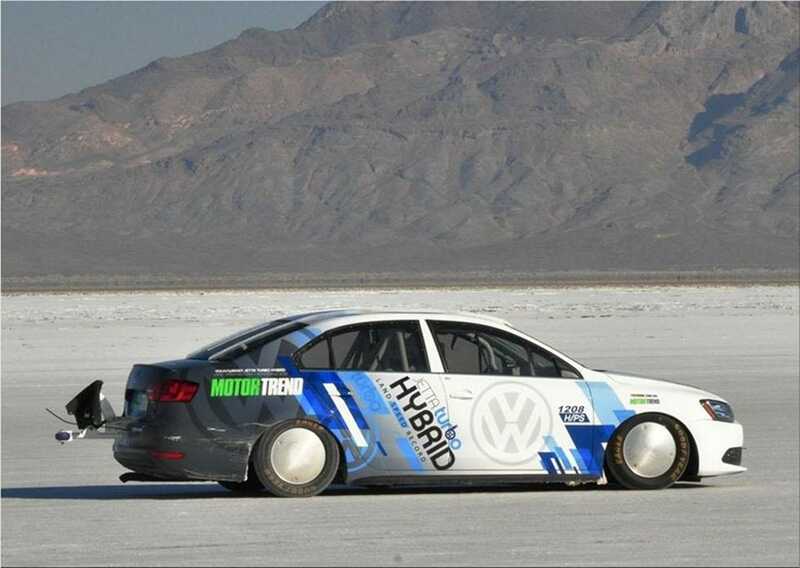 SCTA (Southern California Timing Association) registered the Volkswagen Jetta Hybrid model as the world's fastest car powered by a 1.4-liter engine. 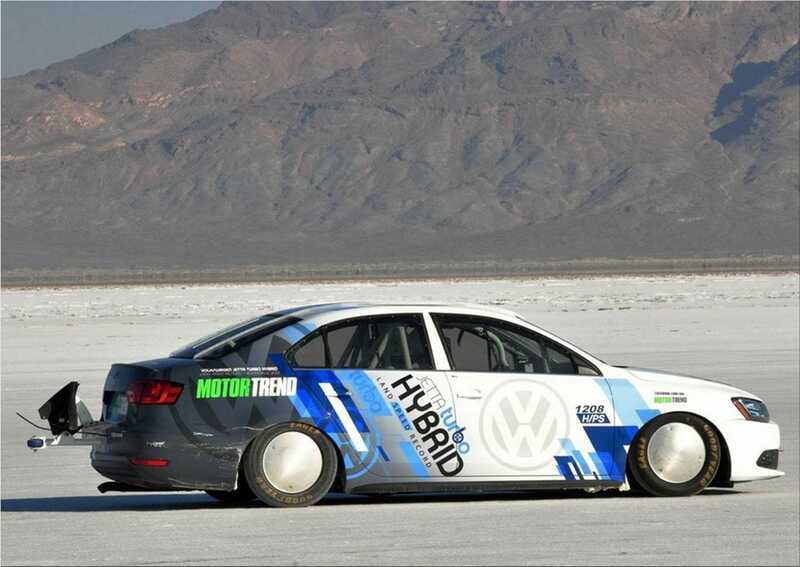 Jetta Hybrid is on the first place with an average speed of 299,842 km/h (186.313 mph) in two laps. 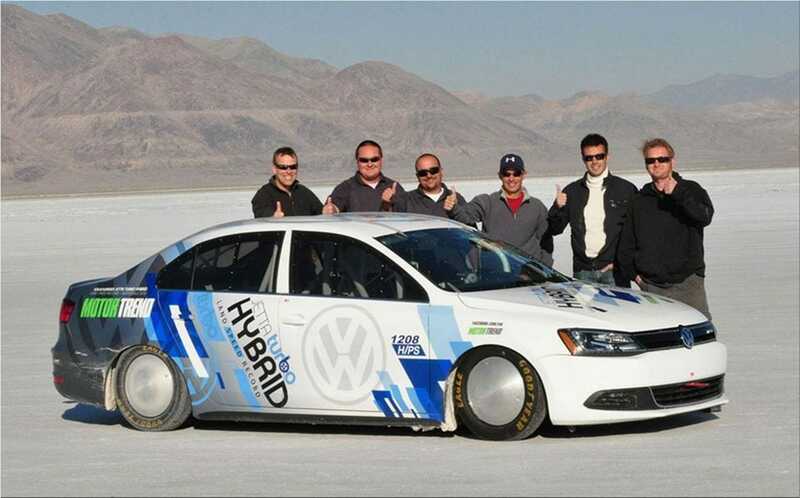 Carlos Lago, the man who drove the Jetta, said: "It was an honor to drive the car on the Salt-and also pretty exciting. 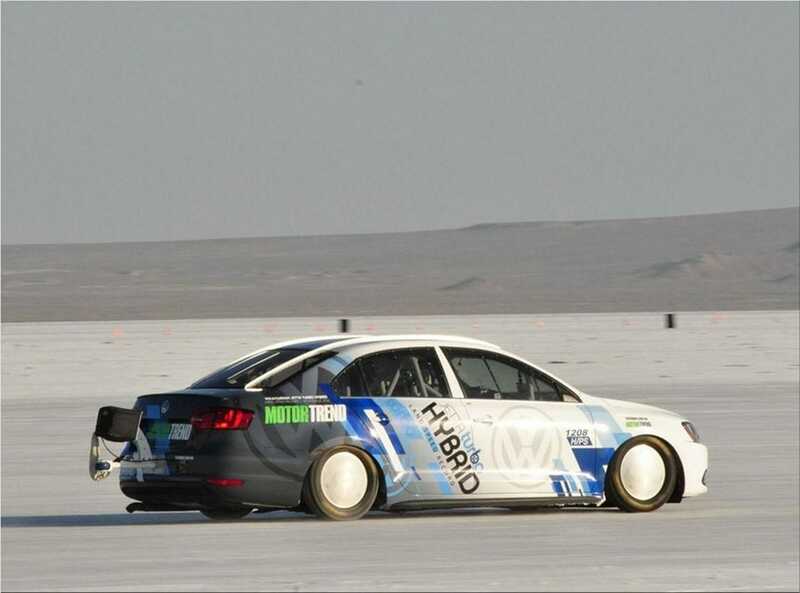 Driving in a straight line may look easy, but it's a real art to get the power down on the salt and you had better be paying attention to crosswinds, as they can really blow the car off course. 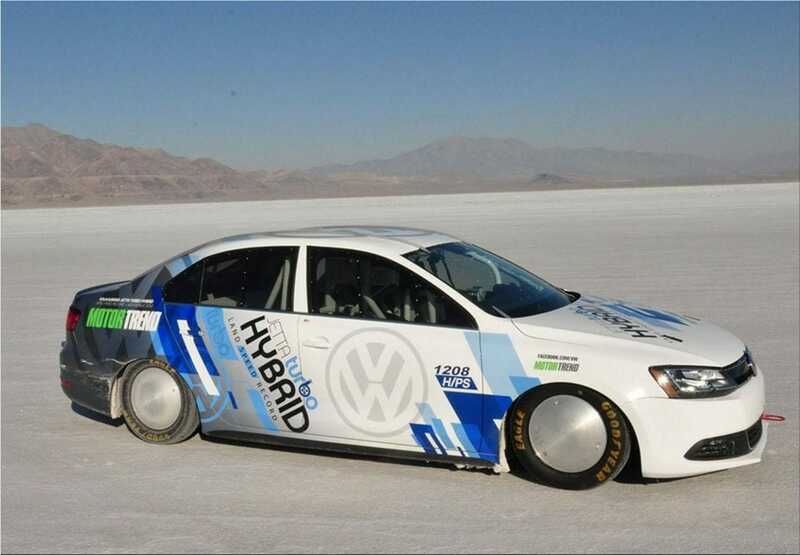 Now I have the bug, I really want to become a member of the exclusive 200-mph club at Bonneville. Maybe next year?"